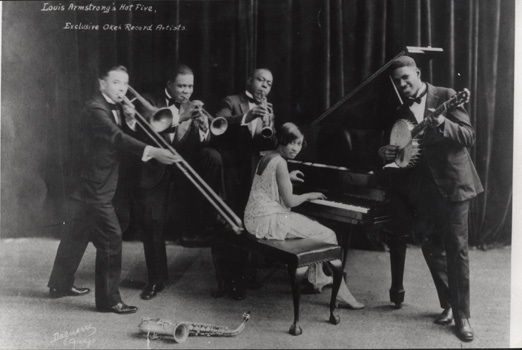 Marc shares some of what happened on this day in history, including Veterans Day, the day of Sherman’s March to the Sea during the American Civil War, and the day Louis Armstrong recorded the first of Hot Five and Hot Seven recordings that influenced the direction of jazz. 1864 – American Civil War: Sherman’s March to the Sea – Union General William Tecumseh Sherman begins burning Atlanta, Georgia to the ground in preparation for his march south. 1869 – The Victorian Aboriginal Protection Act is enacted in Australia, giving the government control of indigenous people’s wages, their terms of employment, where they could live, and of their children, effectively leading to the Stolen Generations. 1887 – Anarchist Haymarket Martyrs August Spies, Albert Parsons, Adolph Fischer and George Engel are executed. 1918 – World War I: Germany signs an armistice agreement with the Allies in a railroad car in the forest of Compiègne, France. The fighting officially ends at 11:00 a.m., (the eleventh hour in the eleventh month on the eleventh day) and this is annually honoured with a two-minute silence. The war officially ends on the signing of the Treaty of Versailles on 28th June, 1919. 1919 – The Centralia Massacre in Centralia, Washington results the deaths of four members of the American Legion and the lynching of a local leader of the Industrial Workers of the World. 1925 – Louis Armstrong recorded the first of Hot Five and Hot Seven recordings that influenced the direction of jazz. 1960 – A military coup against President Ngo Dinh Diem of South Vietnam is crushed. 1969 – The image converter for detecing electromagnetic radiation was patented by George R. Carruthers making him the first Black to do so. 1995 (yesterday) Kenule “Ken” Beeson Saro Wiwa (10 October 1941 – 10 November 1995) was a Nigerian writer, television producer, environmental activist, and winner of the Right Livelihood Award and the Goldman Environmental Prize. Saro-Wiwa was a member of the Ogoni people, an ethnic minority in Nigeria whose homeland, Ogoniland, in the Niger Delta has been targeted for crude oil extraction since the 1950s and which has suffered extreme environmental damage from decades of indiscriminate petroleum waste dumping. Initially as spokesperson, and then as President, of the Movement for the Survival of the Ogoni People (MOSOP), Saro-Wiwa led a nonviolent campaign against environmental degradation of the land and waters of Ogoniland by the operations of the multinational petroleum industry, especially the Royal Dutch Shell company. He was also an outspoken critic of the Nigerian government, which he viewed as reluctant to enforce environmental regulations on the foreign petroleum companies operating in the area. At the peak of his non-violent campaign, Saro-Wiwa was arrested, hastily tried by a special military tribunal, and hanged in 1995 by the military government of General Sani Abacha, all on charges widely viewed as entirely politically motivated and completely unfounded. His execution provoked international outrage and resulted in Nigeria’s suspension from the Commonwealth of Nations for over three years.